Bangladesh's manpower export, which is the country's second highest foreign currency earner, has tumbled in recent years, due to mainly unabated fraud by dishonest people engaged in the trade at both ends. Bangladesh High Commissions across the world do nothing but put the workers from frying pan to the fire. Over the years, many workers have returned home losing everything. 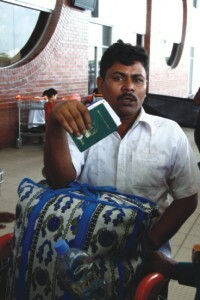 Irregularities in the recruitment process often cause woes to many of the poor Bangladeshis who, on several occasions have been left unemployed or unpaid by the employers.